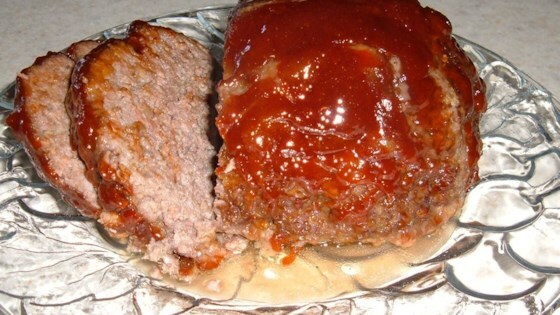 "Meatloaf with a sauce that will keep them coming back for more. The sauce contains pineapple preserves, brown sugar and ketchup. It glazes up real nice over the meatloaf. I've NEVER had leftovers even when I've tripled the recipe!"